Stop & Shop… Great food. Low prices. Friendly service. The Stop & Shop Supermarket Company is a chain of supermarkets located mostly in the northeastern United States. Stop & Shop’s roots can be traced back to 1914, when it was founded by Solomon and Jeanie Rabinowitz in Somerville, Mass., and named the Economy Grocery Stores Company. Within its first four years, the company revolutionized grocery shopping by introducing the concept of self-service at a supermarket. The company was officially renamed Stop & Shop in 1947; by then the chain had grown to 86 supermarkets in the northeast. The company continued to grow and expand. It opened stores in Connecticut, Massachusetts, New Jersey, New York and Rhode Island. By 1982, its stores went from being 30,000-square-foot supermarkets to 45,000- to 80,000-square-foot superstores. Unlike traditional supermarkets, the Stop & Shop superstores featured bakeries, pharmacies, expanded deli departments, cafes, salad bars and, in some cases, banks, expanded liquore and beer sections, and even video rentals. Shoppers would eventually find Starbucks and Dunkin Donuts outlets inside certain Stop & Shop supermarkets. For two decades following the opening of the first superstore, all of the Stop & Shop stores were converted into superstores. 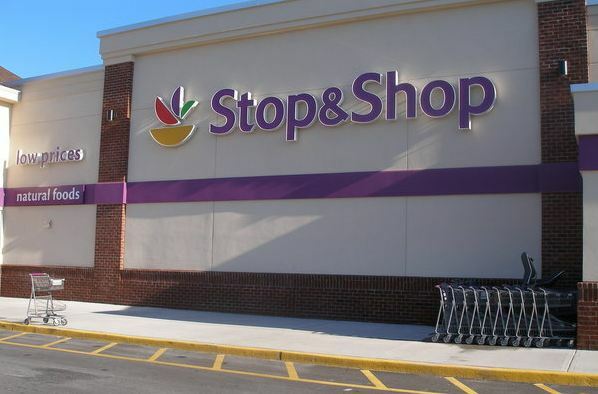 Stop & Shop continued to expand after the American branch of Dutch food giant Royal Ahold — Ahold USA — bought the company in 1995 and re-branded two of its chains under the Stop & Shop banner. In 2004 Ahold integrated the supermarkets with its subsidiary Giant Food LLC and created a combined company named Stop & Stop/Giant-Landover. By 2010, Stop & Shop became the largest food retailer based in New England, operating more than 375 stores in Connecticut, Massachusetts, New Hampshire, New Jersey, New York and Rhode Island. That same year, Stop & Shop’s parent company, Ahold US, was planning to relocate its corporate headquarters from Quincy, Mass., to Carlisle, Penn., to centralize its operations in one location. 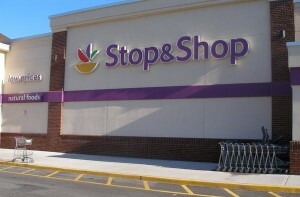 Visit www.stopandshop.com for more information. Hello, our Baldwin NY community lost its Pathmark store for over a year now. It is located on Grand Avenue. It was always busy and seemed to be a viable location. Our seniors have to travel over a mile for groceries. Please help us!!! Why Is produce such low quality? Potatoes all have miles smell. Bottle water has mildew smell ! Meats are so not what they claim. Getting really turned of by this store on the above mentioned and several other. Situations. Shrimp adds for one. Etc. Seems store has gone down hill. Looking for another place to shop hope I can find better quality??? Why is the Stop and Shop Weekly Circular no longer part of my Thursday home delivery of Newsday? Help .. It was nice browsing the circular before going to my local Stop and Shop. Good Morning. My name is Rosann Silvia. I needed to comment about one of your wonderful employees , AnnMarie in your East Setauket Shop&Stop store. I posted my comment above. When I read it again I realized that I did not spefically state that AnnMarie works in the Delicatessan Department of your East Setauket Shop&Stop store, Thank You !! Good Morning. I have shopped at your Stop&Shop grocery store in East Setauket for many, many years. There are other Stop&Shop grocery stores that are near where I live that I can also go to. I have to say that I am completely and totally satisfied with everything about the whole Stop&Shop food chain. The reason why I am writing this is that I must comment on one of your workers. Her name is AnnMarie. She is such a wonderful employee. She is one of the main reasons that I choose to shop at the East Setauket store. AnnMarie is always very friendly. She is always ready to help her customers. She always shows concern about her customers needs. I have been on the deli line many, many times. I have seen customers for no reason at all have an attitude. Yet, despite that AnnMarie is always nice. She does not allow a customers bad day to interfere with her work performance. AnnMarie is thorough. She always smiles. She always pleasently greets her customers. She is always very friendly. Annmarie is one of the main reasons that I shop at this store. Thank you for hiring AnnMarie. She is a very positve asset to your Stop&Shop store in East Setauket. I am a faithful customer of 2 Shop & Save stores. The one at Golfmill Shopping center in Niles, IL, the other in Des Plaines on Central. I just found out that you are opening a new store on Devon and Milwaukee Ave. on the Northwest side of Chicago. How can my Grandson 16 years apply for a part time job there? I live 5 minutes away from the new store, I am so happy. Please let me know where he can apply. Good Morning, I am in the process of completing a grant request from Stop & Shop and would like to know the number of stores you operate in Nassau County and Suffolk County on Long Island, New York.